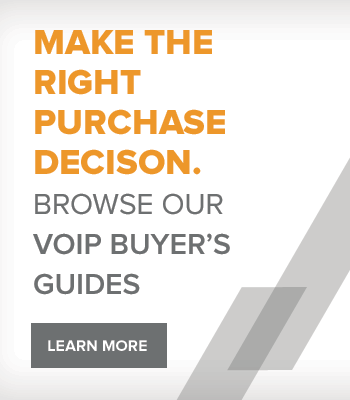 Valcom Page Controls act like the brain of an IP paging solution and are specifically designed for telephone system integration. Page controls allow systems to be easily field expandable, upgradeable, and allow for future additions or changes. 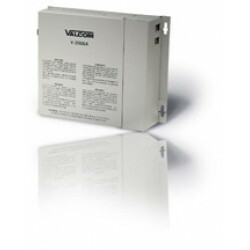 Valcom Page Controls have built-in power and are loaded with features offering your choice of the number Zones that can be independently paged, One-Way broadcast only communication, or Two-Way Talkback hands free communication. 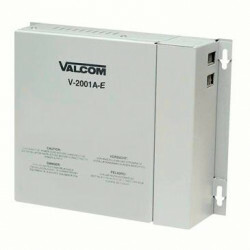 Why buy Valcom Page Controls? Unlimited expansion is possible. System grows as you grow. 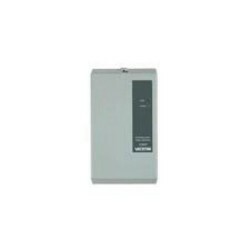 Multiple telephone access options, programmable features per zone, battery back-up input. 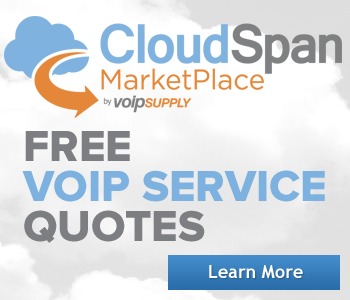 Emergency page override for priority announcements. 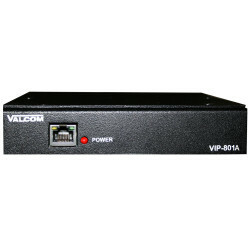 The VIP-801A Networked Page Zone Extender enables voice access to a single zone of one-way paging over an IP-based LAN/WAN. 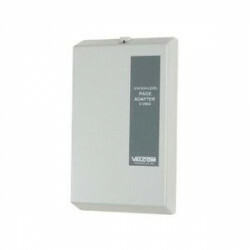 This allows page zone extension anywhere on the network. 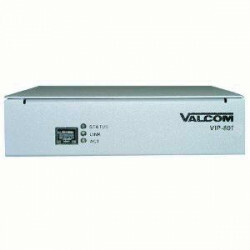 The Valcom VIP-802B contains Dual Audio Ports that enables voice access to one-way paging over an IP-based network. 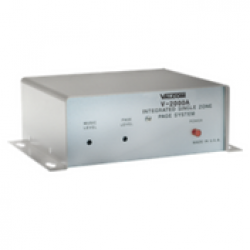 The V-2000A is an integrated single zone page control unit and supplies telephone access to a single zone. 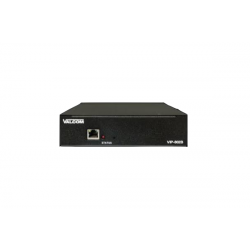 The VIP-801A-IC Networked Page Zone Extender for InformaCast systems enables voice access to a single zone of one-way paging over an IP-based LAN/WAN. 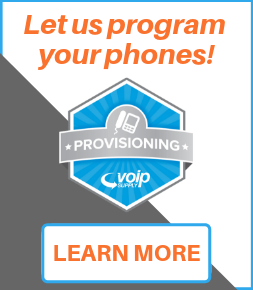 This allows page zone extension anywhere on the network. 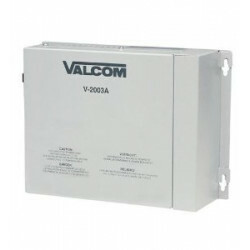 The Valcom V-9940 has a built-in punch down block, a background-music input, call call circuitry, open loop disconnect option, audio sense and time out circuitry, power reversal LED, and an answer verification tone.